In 2016, Dr. Karen Garst published a book compiling the stories of nearly two dozen women who shed their faith and wanted to tell you how it happened. Now, instead of just focusing on how they left religion, Garst has compiled a series of essays, both personal and academic, about how various women been harmed by faith. 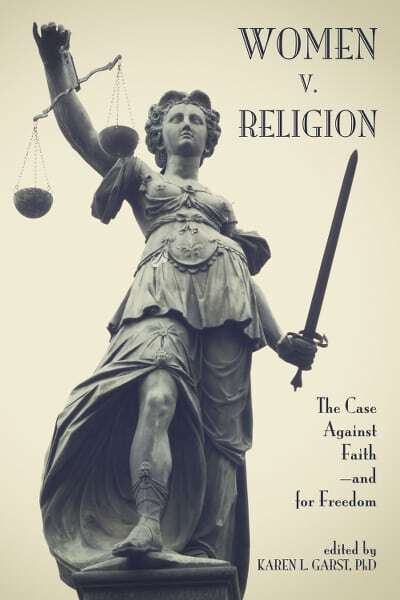 It’s called Women v. Religion: The Case Against Faith — and for Freedom (Pitchstone Publishing). In the excerpt below, Deanna Adams, a board member of the Humanists of Houston, writes about the impact of religion specifically on African American women, specifically how Black Protestant church teachings frequently set them up for failure. In addition to educational and financial considerations, Black women today face a myriad of challenges in everyday life. From relationship struggles to social justice apathy, the historically Black Protestant Church in the United States sets Black women up to fail in many ways. Many male church leaders, especially megachurch prosperity pastors, suggest women live a strict and holy life devoted to the church while they wait for the mate that God has sent for them. This “waiting for Boaz” mentality takes its cues from the biblical story of Ruth, who after becoming a widow, follows her mother-in-law Naomi to her native land. Boaz, a wealthy landowner, notices Ruth while she is working in his fields for food. Her mother-in-law encourages her to make herself available to him, and he eventually acquires her along with her mother-in-law’s land. After this acquisition, they are wed and she begets a son in the lineage of David. Prosperity pastors use this scripture to show that a woman’s life can be substantially improved with the addition of a well-to-do man. The woman must be worthy, however, by being a hard worker, diligent, and chaste. Boaz took notice of Ruth because of her hardworking nature, and he rewarded her with marriage. When she lay at his feet as instructed by Naomi, he showed respect by not sleeping with her immediately, but instructing her on the next steps and telling her to wait until he met with the town elders. In essence, women must go about their daily lives, working hard in service to God at the church, and in service to their families at jobs and at home, and a wonderful man will appear when they least expect it. This wonderful man will respect her dutifulness and care for her, showing his dedication by securing her future. As a Christian woman, you have more important things to do than obsess about finding a mate. Don’t worry. Know that God has someone or something waiting for you. Your only job is to fulfill God’s purpose for you. You need to walk the path that He has laid before you, serve Him and only Him, and prepare yourself for all He has in store for you. Becoming too caught up in the dating/mating/relating game distracts you from your Heavenly calling and keeps you from the Lord. Unfortunately, this mentality leads to unreasonable expectations of men by women in the church. Heterosexual marriage is still an important goal of Christianity. Women under this teaching believe that they can go about their work obliviously and a mate will magically find them. While it is true that you never know when and where you will meet your significant other, the odds of finding him in church when church membership is nearly 60 percent women are unfavorable. Add the desired qualities of financial success, spiritual health, and moral uprightness and we begin to see why so many women in this faith tradition struggle to find a suitable mate when one is desired. These thought processes also manifest in the pastor of the church becoming a surrogate husband until a suitable mate materializes. Women will go to him for advice on life decisions, model any potential mates after him, and in some cases, engage in sexual acts with him. When the pastor is put in this position, it is much easier for him to manipulate women further. Racial and ethnic differences in marriage are striking. The median age at first marriage is roughly four years higher for black than for white women: 30 versus 26 years, respectively, in 2010. At all ages, black Americans display lower marriage rates than do other racial and ethnic groups. Consequently, a far lower proportion of black women have married at least once by age 40. Black women who marry experience less marital stability than most other racial groups. Again, there are many reasons for this experience, but when devout Black women find themselves having marital difficulties, the first advice often given to them is to pray for their husbands and give the problem to God. Robust, secular mental health care practices are still shunned in much of the Black community, so any counseling that dysfunctional couples may seek out is likely to come from church leaders, if at all. Some of these church leaders give incredibly harmful advice to these couples, such as telling women to pray for their abusive husbands and wait for God to intervene, which can result in worsening of relations and escalation of abuse. In 2011, black females were murdered at a rate more than two and a half times higher than white females: 2.61 per 100,000 versus 0.99 per 100,000…. Compared to a black male, a black female is far more likely to be killed by her spouse, an intimate acquaintance, or a family member than by a stranger. Where the relationship could be determined, 94 percent of black females killed by males in single victim/single offender incidents knew their killers (415 out of 443). Nearly 15 times as many black females were murdered by a male they knew (415 victims) than were killed by male strangers (28 victims) in single victim/single offender incidents in 2011. Of black victims who knew their offenders, 52 percent (216 out of 415) were wives, common-law wives, ex-wives, or girlfriends of the offenders. Consequently, psychologically sound support for victims of domestic violence in historically Black churches is difficult to find. Men are regarded as the head of the household, and women are taught to submit to their husbands. Many women blame themselves for not being submissive enough or not praying correctly in an effort to correct the problems they experience. When this invariably doesn’t work, women who try to escape may face social ostracism and a complete removal of what little support they have. Finding strength outside of the church may be the only way to save most of these women’s lives. Compounding Black women’s difficulties when leaving abusive situations is the financial insecurity created by adhering to restrictive religious practices. Marriage ministries all over the country teach that a part of submission for women is to trust their husbands with finances. Even in modern families where both partners work, women are encouraged to commingle all funds to prove openness and faith. They are expected to give ten percent of their earnings to the church as a properly tithing family. Purchases should be discussed and agreed upon beforehand, and the woman may be given a small stipend for her daily needs. This hyperfocus on transparency puts women in a precarious situation daily, but especially when they need to rebuild after a failed marriage. Even women who earn more than their husbands may find it difficult to save for an eventual divorce because all of her funds are either in joint accounts or under his control. Unmarried women are financially harmed by many of these practices as well. 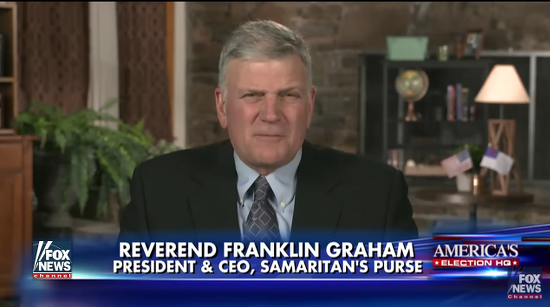 In the prosperity gospel tradition, all church members are expected to tithe one tenth of their income, gross income in most cases. This is money that could go to savings or investment accounts, or even to pay off debt. Although Black women’s wages are falling, they still faithfully donate to churches on a regular basis. Since their disposable income is lower than most other racial groups, Black women give a proportionately higher amount to charity, mostly in the form of church tithing and offering. Continuing this practice is devastating financially, especially when factoring in the lack of tangible benefit to doing so. • 98 percent of a church’s total budget comes from congregational giving. • 49 percent of total church budget goes to staffing costs. • 54 percent of churches gave financial bonuses to the senior pastor in the last twelve months. • 81 percent of churches say that knowledge about specific salaries is mostly limited to the board, a subcommittee of the board, or senior staff. • For each $1 of annual increase in church-wide giving per attendee, the typical executive-level annual salary increases by $15.49. These findings demonstrate that at best, megachurches need to improve their financial transparency, and at worst, these houses of worship are nothing more than elaborate get-rich-quick schemes providing income for their charismatic leaders. In regard to another current issue faced by Black Christian women, the overarching principle of letting go and letting God (handle your problems) creates a personal and socially apathetic individual who hesitates to fight for her own freedom or the freedom of her community. To be sure, many Black women are socially conscious and believe in activism, but the Christian tradition teaches them to first pray for changes instead of immediately getting involved. Once involved, much of that work is still done in the church, which leaves out groups that the church has historically shunned, such as the LGBTQ community. At times, Black Christian women also become stagnant out of fear. They have been taught to seek God’s approval in everything, so if they don’t get an answer to their cries for help, they remain in unhealthy situations. Admonishments such as “One who is slow to anger is better than the mighty, and one whose temper is controlled than one who captures a city” (Proverbs 16:32) teach women to patiently wait for change instead of fighting for it. When tragedy strikes, Black women aren’t allowed righteous anger or profound grief before they are told to forgive their enemies and let God handle the delivery of justice. Unfortunately in the United States, justice is rarely served when victims are Black. When nine parishioners were murdered in a historically Black church in Charleston, South Carolina, in 2015, family members expressed forgiveness for the killer, even as he admitted to targeting them because of his hatred of Black people. In their faith tradition, forgiveness is essential. It is a requirement to be more like God, to be able to move forward and find peace in life. This simply does not work for many people, however. Rushing forgiveness hinders the hard work of emotional healing. It is extremely unfair to those who are not ready to forgive, as they now feel the initial pain in addition to the shame associated with their anger. Finally, the piety of Black Christian women does not correlate positively with their health outcomes. It is widely reported that Black women experience disproportionately higher instances of most major diseases. Obesity, heart disease, diabetes, and depression are some of the ailments that Black women face more often than other races despite the church’s suggestion that praying and tithing will be enough to ward off ailments and challenges if the Christian is pious enough. Clearly, focusing on a closer walk with God and putting faith in his healing is not enough to overcome these very real medical issues. While there are many factors involved in these disparities, helping women feel empowered to help themselves must become a part of any plan to improve Black women’s health overall. In order for the modern Black woman to begin to heal from generations of religious zealotry, it is essential to be honest about the unhealthy relationships, abuse, and financial difficulties that are exacerbated by adherence to Christianity. Apathy for our health and social justice issues, especially those most concerning to Black women, must be addressed honestly within any plan to truly prosper. Women v. Religion is now available online and in bookstores.